The package finally arrived today! I was quite delighted to receive a box of sherbet for sampling & review :) It came in a pretty package too! Tadaaaa! Magnolia's Passion Fruit Sherbet! 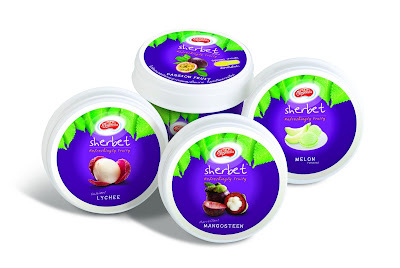 Magnolia's Passion Fruit Sherbet is one of the latest in the market. The Passion Fruit baby has 3 other siblings before it i.e. Lucious Lychee, Marvelous Mangosteen, & Magnificent Melon. I've yet to try the other 3, but this cute little cup of Passion Fruit Sherbet is definitely something you won't want to miss! Passion fruit originated from Brazil & it is not only known for its great taste, but also it's aromatic fragrance. Don't be fooled by the size of the sherbet cup! It may be small, but Magnolia's Sherbet Passion Fruit is packed with some very smooth texture sherbet, slightly milky/creamy (not totally creamy like ice-cream), & is bursting in flavor in every spoonful! Find out more information from their FB page! Overall comment: Food tastes good & price is quite reasonable (except for the veggie that we ordered) considering that the restaurant is based in Bangsar, a "quite-high-class" area. After all the ding-donging, a group of us colleagues finally managed to set a time for CNY dinner together. Quite a number of our friends couldn't make it for this gathering, which was slightly disappointing (yes, especially Genie boy! ), but we sure look forward to meet up with those busy-bees someday soon! We decided on Chef Low as it was quite near our office. 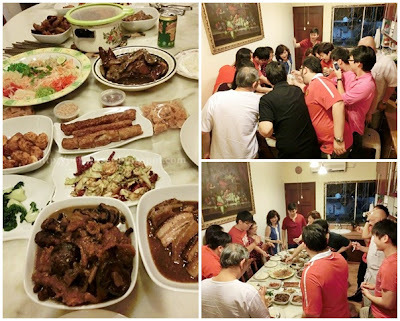 Right after work, we headed over to Lucky Garden, Bangsar, the nightmare of places after office hours, for our CNY gathering. Parking is madness, but if you don't mind paying & if you're fortunate enough as well, you can park at the paid-parking lot in front of TMC, the well-known mini-market (not so mini anymore) in Bangsar, & pay RM1.00/hour. What we ordered were pretty much Chinese New Year dishes. I'm actually quite satisfied with the taste & overall price of the food here. This was quite good, but I personally prefer the slices of pumpkin to be thicker so that there's more "chew" - just like the ones from Restoran Hai Tian at Seri Kembangan. This one at Chef Low is thinly sliced, but the flavour is still sufficiently intense. Not bad :) Salted eggs rock! ABUNDANCE of lala!! As my family rarely order such a dish, I was quite surprised to find SO many clams in this bowl of soup! I expected this to be clear, sweet clams soup, but the one here turned out to be a pepper soup! How interesting. It felt like having a "lala lat thong"! I felt so nostalgic & started dreaming of the Kajang lat thong (mixed pork in pepper soup). This was quite an interesting dish. It felt very "fung foo" (lavish). All the "good stuff" are in this dish :) The beancurd is also very smooth & yummy :) Nice! Rich in flavours & very aromatic. Apart from the tender braised pig's trotter, you'll find pieces of yam, mushrooms, scallops (I think), dried oysters, & "fatt choy" (the hair-like vegetable/root). This was quite a shocker as we didn't know those crispy bits were dried scallop 'til we were about to leave the restaurant! Argh. What a shame & a waste since we didn't finish it up! The vegetables were fresh & well cooked to perfection. The deep-fried dried scallops were also quite tasty & added flavour & fragrance to the plain vegetable dish. However, as we didn't know those were scallops, at leat 3-4 spoonfuls of it were wasted/untouched :( Bummer. What an expensive vegetable dish....thank goodness it was nice. Pretty good since the steamed egg were not over-done. The flavour was also just nice - not too salty, not bland. If not for the parking problems, I think I won't mind frequenting this place. The food is actually quite good for the price paid. One of the most popular cendol places in Kuantan is this small shop at Air Putih. 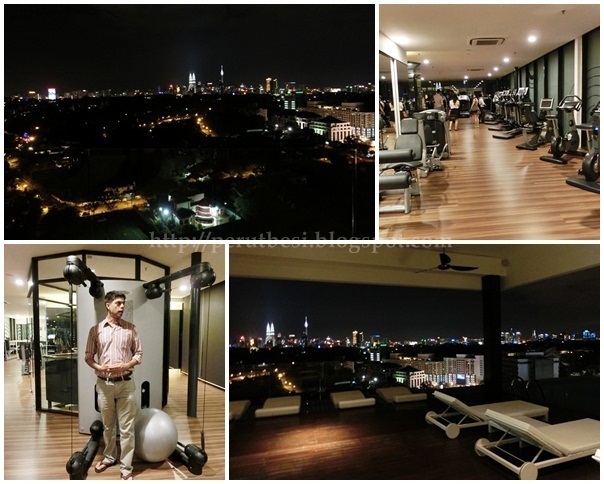 It's located opposite Nirvana wholesale/hypermarket, right after the traffic lights on Jalan Beserah/Jalan Air Putih. I reckon most locals will know this place since it's been here for a while. This little shop used to be a small road-side stall, but as the business grew, the family decided to move to a small shoplot. I doubt you'll miss it since the shop is painted bright yellow! 2. The 'thickness" of coconut milk + gula Melaka (brown sugar) are just nice. Some places do not use much coconut milk (diluted) nor gula Melaka, so it's not so fragrant. 3. The texture of the cendol strips are not overly soft, yet not under-cooked & floury. In addition, it doesn't have too strong taste of alkaline water (Cantonese call it "kan sui"). 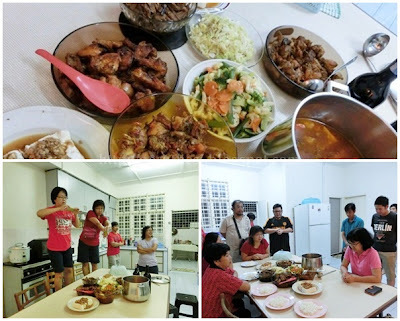 They also serve ice kacang & other "tea-time snacks" & their business is very brisk during tea time i.e. 3-4p.m! 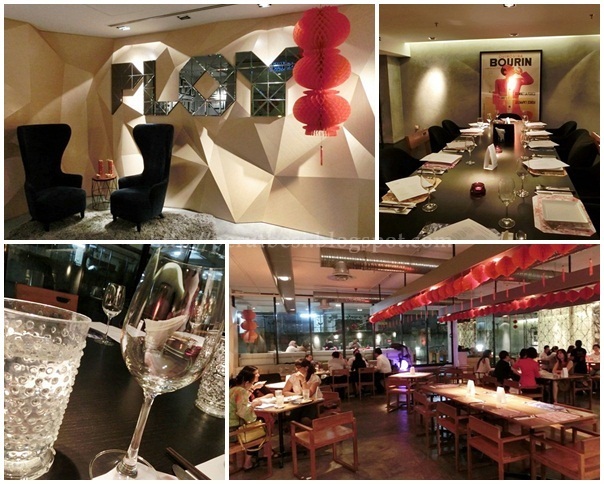 It's not my 1st time at Ploy, so I didn't feel so foreign when I stepped into the restaurant again. My 1st visit here wasn't very pleasant as my expectation was not met. This time around, knowing that this place is a fusion-food semi-fine dining restaurant, where flavor & taste over-rules portion & price, I didn't get that disappointed. You can read more about Ploy in my previous blog post: Ploy. Only during CNY - 1 more week to go! 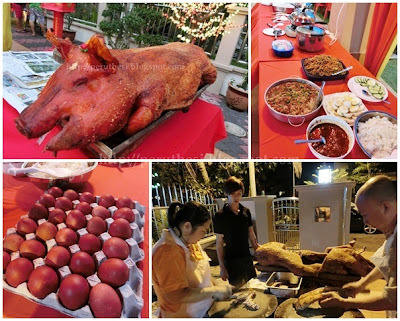 I was invited to try out some of Ploy's dishes recently. As I work just next door, I thought "why not give it another try?". 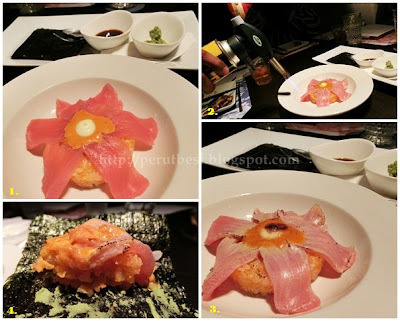 I didn't put high hopes on the food served since my previous experience was slightly disappointing, but I was still very positive to have an enjoyable time at the review. I remember 4 things about Ploy: food tasted good the last time, customer service was admirable, portion of food was small, prices of food were quite expensive. I guess these 4 things that I remembered will not change after this review...haha. Fresh Hamachi sashimi drizzled in yuzu truffle sauce. Fresh lobster meat in Japanese inaka miso soup with white radish, mirin, & bonita flakes. Fillets of deep-fried sole served in an equally crispy fish basket seasoned in Thai spices. One of the best dishes that evening *thumbs up* We ate up every single fillet + the fish basket as well! It was really crispy, aromatic, & appetizing! The kaffir lime leaves + chilli flakes made the fish fillets taste very Thai & it felt like a very enjoyable snack to munch on. Look...the spices...yum yum! Can even crunch on the leaves! This is one of Ploy's many pride & joy. 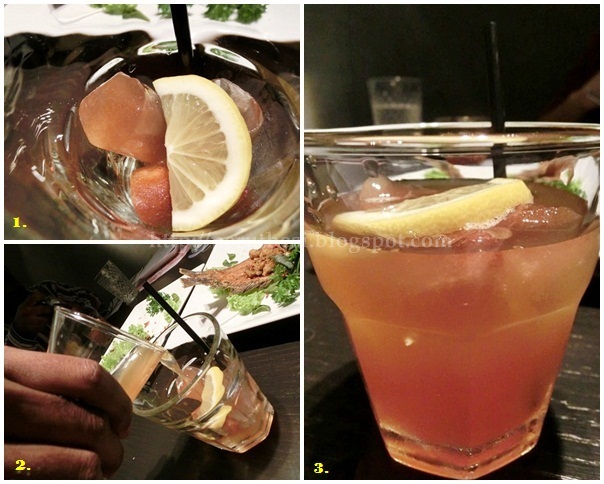 The concentrated-version of lemon tea is frozen as ice cubes, before serving it with liquid lemon tea! I found it slightly too sweet for my liking, but if you've a sweet tooth, you'll love it. Ploy style popiah with seared akami tuna, sushi rice, flying fish roe, & our signature sauces. Brazillian corn beef flavored with olive oil & chilli olio style. If you've never experienced corn beef in such a form & dish, you have to try this. One of the bloggers nearly worshiped this dish! Hahahaha...yes, it's THAT good. A brilliant idea indeed. Corn beef + spaghetti -> spicy olio style. Yummy! 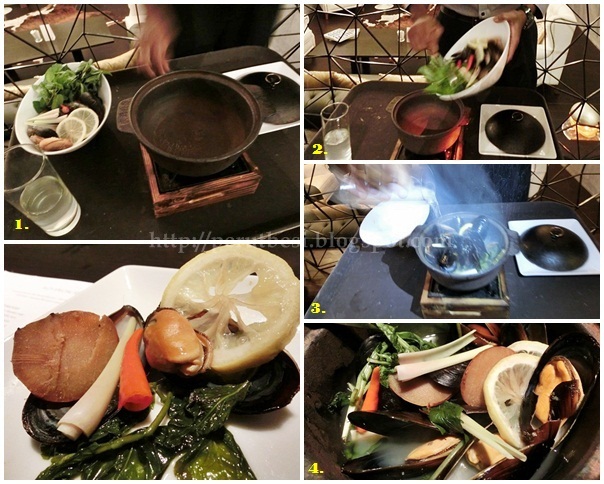 Fresh Australian mussels infused with Thai herbs, basil & mint leaves, cooked in coconut juice. Interesting. It's quite a "light" dish since the only item that you'll eat from the pot are the mussels. I was quite intrigued by the various herbs/spices used in this simple yet very aromatic dish: lengkuas/galanga, lemongrass, red chillies, lemon, basil, & mint leaves + coconut water/juice. The ingredients blended in harmony with each other as well. Cold somen served with abalone & truffle sauce. "Light & easy" on the palatte :) As I'm a fan of cold soba, I won't let this cold somen (mixed breed of soba + ramen) leave without me enjoying every bit of it! Australian minced sirloin patty sandwiched between crisp Chinese-style "man tao" buns with Shiso leaves & Japanese tiugan sauce. It's really too cute to sink my teeth into the burger. The patty was juicy & I sincerely felt that the Shiso leaves bring the simple beef burger to the next level of enjoyment! The humble "Emperor Burger" was bursting in freshness thanks to the Shiso leaves! The soft, fluffy man tao buns make good burger buns! It's kinda too costly for such a small burger though...PerutBesi's palm-size i.e. approximately 2.5 inches in diameter. 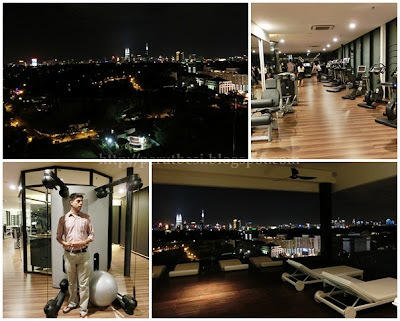 After an enjoyable dining experience, we were ushered to the top floor of WORK@Clearwater for a sneak preview of Be Urban Wellness, a wellness centre, managed by the same business group as Ploy's. The place is LOVELY! Indeed very soothing, relaxing, & calming - great place for massage, spa, & gym. I'm not sure about the price nor the existence of membership packages, but you can give them a call to find out more information for yourself (details below). This is one of the highlights of this wellness center. The tank is filled with water + absom salt where it is so salty, you can float (like at the Dead Sea)! 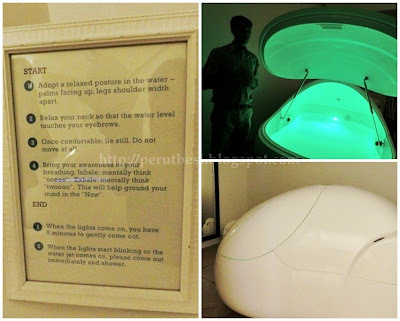 If you don't panic & really relax, floating in the tank & sleeping through without fear, all your 5 senses will be relaxed. The temperature of the water is almost body temperature, which allows the body to get used to the surroundings of the tank. According to Balraj who manages the wellness center, 1 hour of sleep in the floatation tank = ~ 4 hours of normal sleep!! Talk about work efficiency after such treatment! *fuh* I would love to try it out someday!! 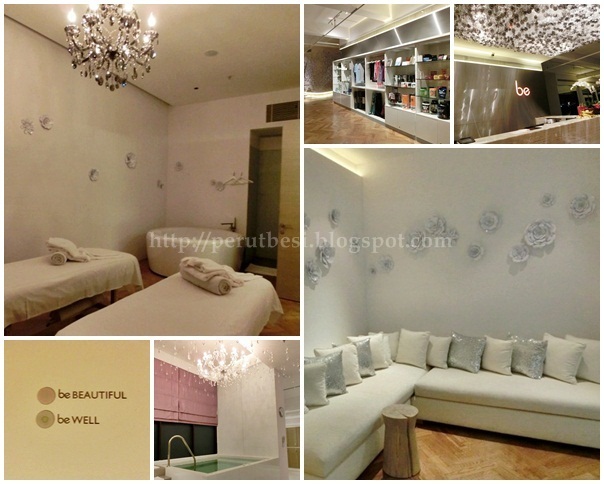 I wish, wish, wish, to experience such pampering sessions at Be Urban Wellness. That would be lovely!! 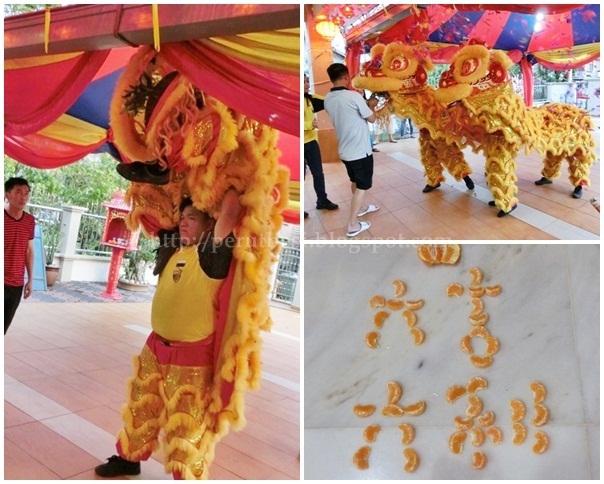 Being in Kuantan for Chinese New Year is such a different atmosphere compared to being in PJ. For one, the festive mood is definitely more evident in this smaller town compared to a large city like Petaling Jaya. Especially so at the area where I live, where it is Malay-populated, CNY is VERY quiet 'til I can hear the sound of crickets each night! Here, in Kuantan, the sound of firecrackers, fireworks, & lion dance is certainly part of the town! :) I miss such atmosphere....PJ used to have such festive-mood during my childhood days, but it seems like the concrete jungle has overtaken the "live" of the city. The only thing that is different this CNY in Kuantan is the weather; it has been raining since CNY Day 1!! *brrrrrr* SO COLD!! Day 4: One of the rare days where I could see sunlight in Kuantan! 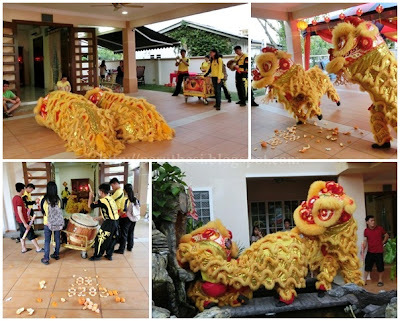 Day 4: The 1st Lion Dance that I saw for CNY 2013! We were at Aaron's uncle's house for dinner & he invited the lion dancers over as of every year. 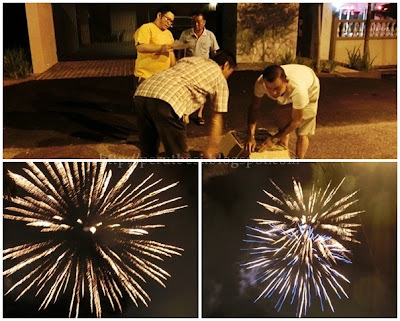 Day 4: My 1st sight of fireworks for year 2013 - up-close! Day 6: More food...at home! I am proud to say that I am really blessed to have found several families in Kuantan to call my own. I've known this family since my uni days & I am VERY thankful to God for these few women/girls in my life. They play a big part of my life in Kuantan!